Thousands of people are now considering evacuating their homes in tower blocks across the UK after it was found that at least 14 high-rise residential buildings have a similar flammable cladding to that used on Grenfell Tower. 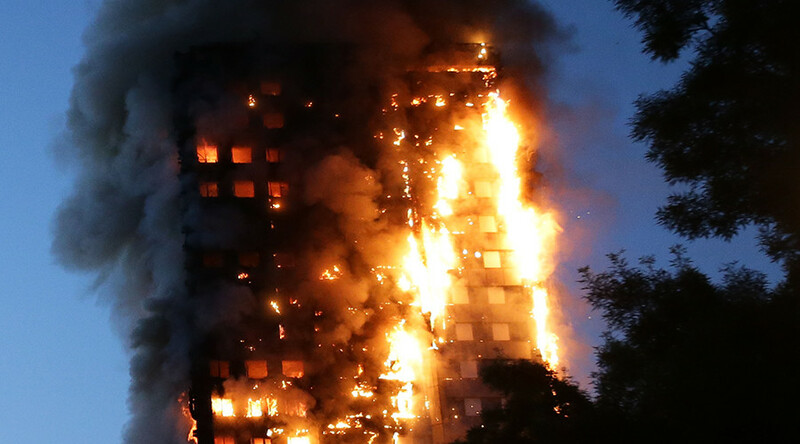 Although the cause of last week’s devastating fire was a faulty fridge freezer in one of the flats, the cladding and insulation on the block failed experts’ safety tests, according to the Metropolitan Police. “What we are being told at the moment by the Building Research Establishment is that the cladding and insulation failed all safety tests,” Detective Superintendent Fiona McCormack said. The news came as a number of high-rise buildings were found to be cladded with the same material suspected of having accelerated the blaze on June 14. According to a Downing Street spokeswoman, however, the 14 blocks in London, Manchester and Plymouth that failed fire-safety assessments are not necessarily at risk. The government is said to be checking 100 tower blocks per day, looking for the aluminium composite tiles. Prime Minister Theresa May assured social tenants that no one would be forced to live in blocks featuring the dangerous cladding. There are an estimated 600 buildings with the tiles in England alone. Interviewing Plymouth MP @LukePollard in Devonport. He says cladding on Mount Wise tower blocks will be removed in next couple of days. In Plymouth, residents of the 16-story Tamar, Tavy and Lynther blocks received letters warning them about the materials used on their buildings. Councils in London and Manchester are now removing panels from the properties found to have used similar cladding to Grenfell Tower. In London’s Camden, cladding with the same polyethylene core as the one used in Grenfell is being removed from the Chalcots Estate. 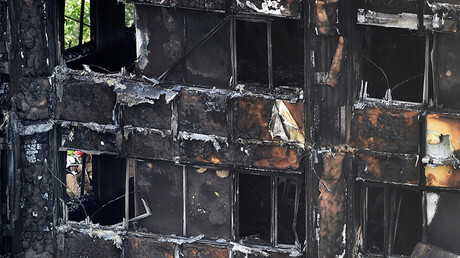 The government, however, added that private landlords would not have to fire-test their high rise cladding, even if it is similar to the one in Grenfell. Detective Superintendent McCormack confirmed that the Met will be considering manslaughter charges as part of its inquiry into the Grenfell Tower fire.